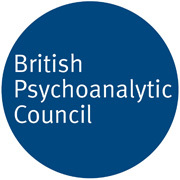 British Association of Counselling and Psychotherapy. BACP’s primary purpose is to support counsellors and help them better serve their clients. UKCP is the leading body for the education, training and accreditation of psychotherapists and psychotherapeutic counsellors. We make sense of human behaviour by looking beyond the obvious to the underlying group dynamics, using the theory and practice of systems thinking, psychoanalysis & group relations.